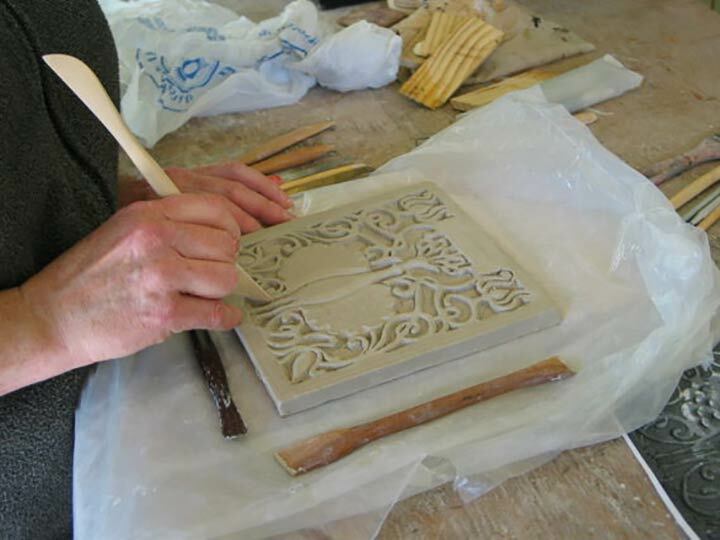 A design on paper is transferred to a wet clay slab. 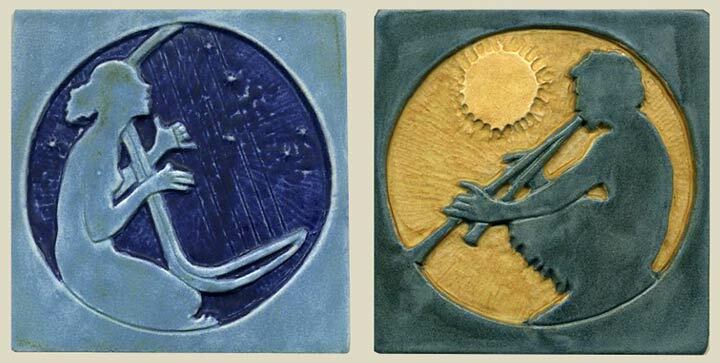 Then I carve and sculpt the clay to create an original tile. 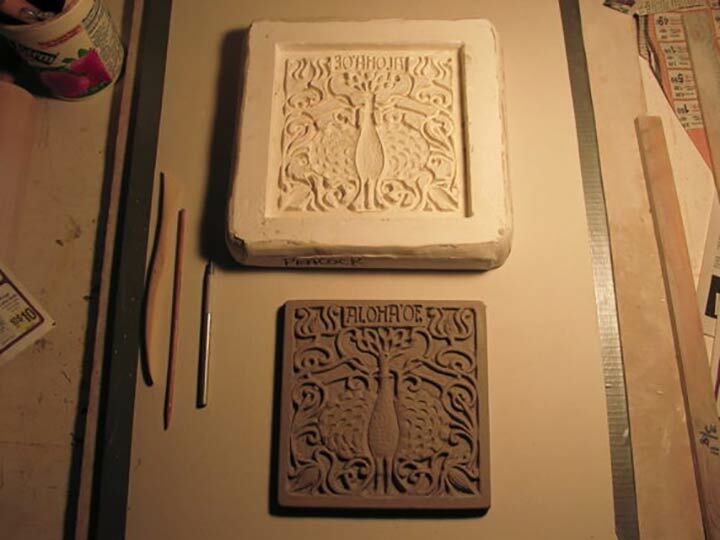 I make a plaster mold of the original tile. 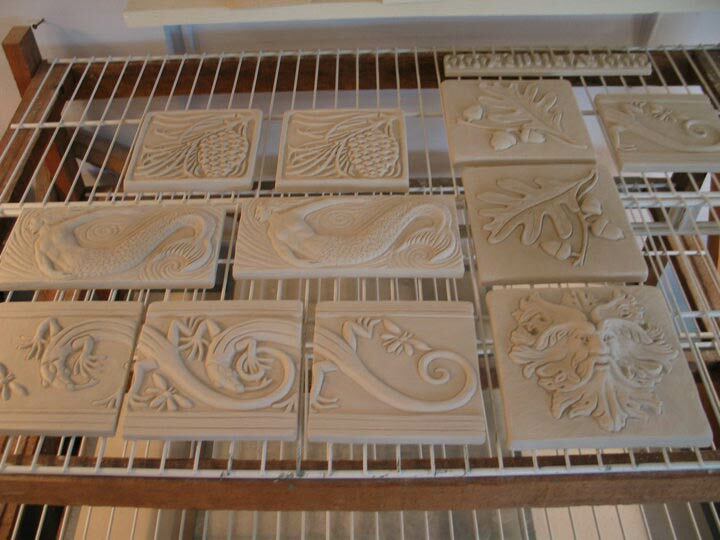 The original is destroyed in the process, but now I have a mold we can use to make many more tiles of this design. 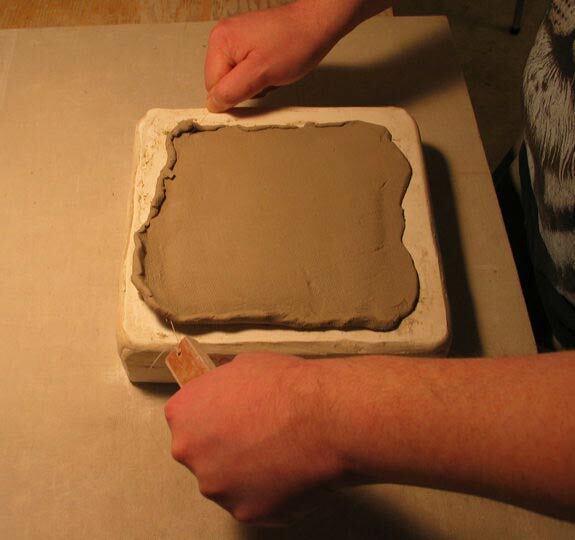 Next, we'll make a tile using our mold. We roll out slabs of wet clay. 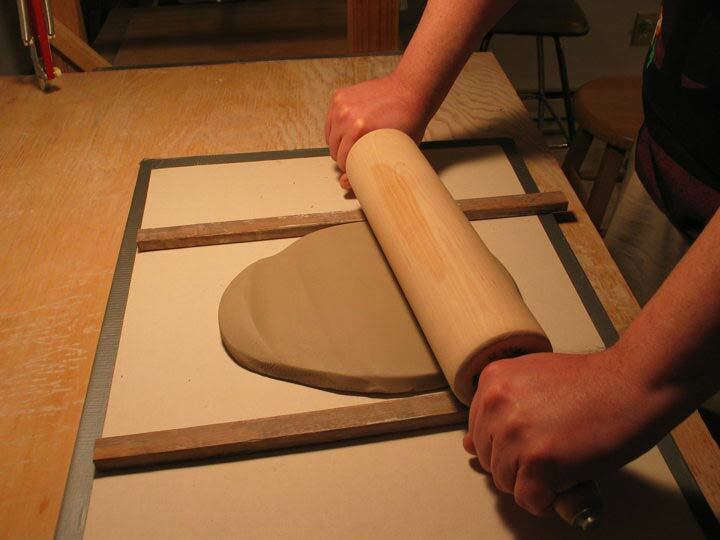 The clay is pressed into the mold by hand and using a rolling pin. 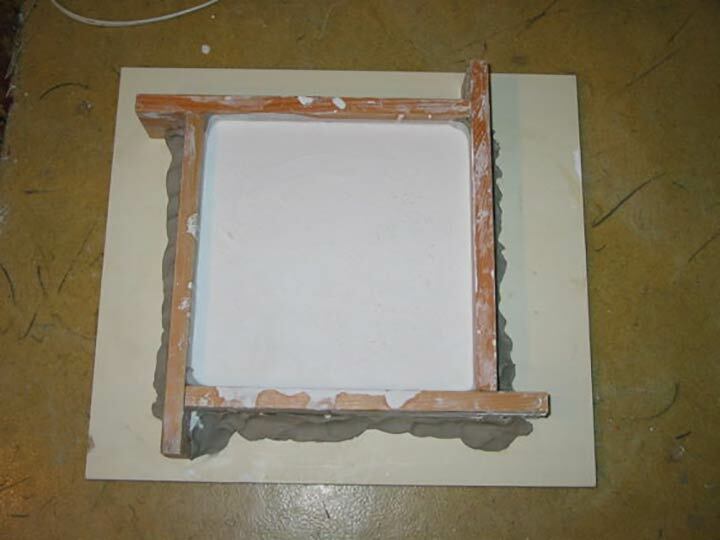 Excess clay is removed from the back of the mold with a wire tool. After a couple of hours the clay tile shrinks enough to pop out of the mold. We dry the tile overnight on a piece of sheetrock. The newly made tile is then placed on a metal rack the next day to dry completely for about a week. 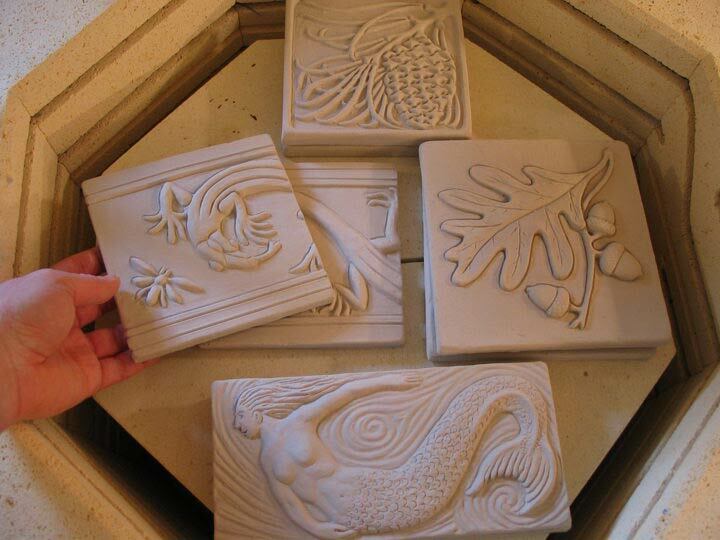 Once our tiles are dry, they are low-fired to a bisque temperature (around 1900 degrees F). 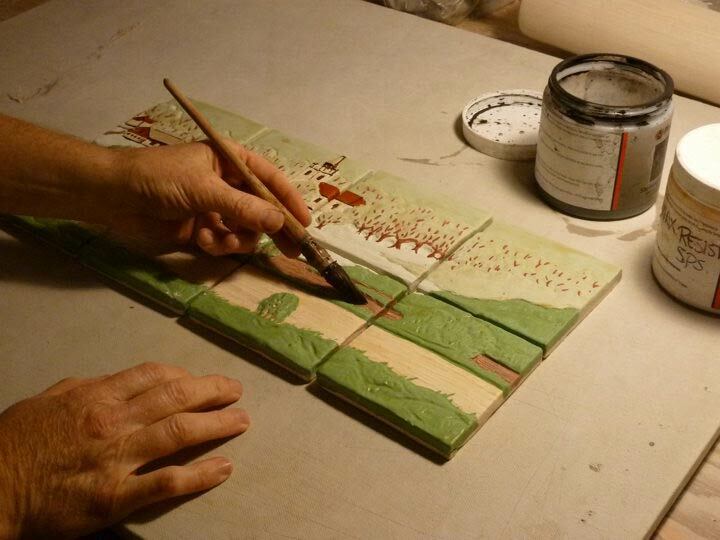 Next, our tiles are glazed by brushing and pouring on the glaze colors. This is one of the most time-consuming parts of the process. Finally, the tiles are fired a second time to a much higher temperature (around 2150 degrees F) to vitrify the glazes and create a durable stoneware tile. Firing to this temperature ensures that the tile is suitable for any installation such as a shower, backsplash, fireplace, pool or outdoors in the most extreme temperatures.